I am having the best time exploring some truly awesome places to visit right here in and around Joburg. One that has been on my list for the longest time is Askari Game Lodge & Spa, which is situated about an hour and fifteen minutes drive from Johannesburg, on the flourishing Plumari Private Reserve in the Magaliesberg. Big game viewing is not the only drawcard here – peace and quiet and the cutest stone cottages complete with slipper baths, antique washstands and old world charm await you. There are game drives available to enjoy – which last about 2.5 hours each as well as elephant interactions too. I was sitting reading a book wrapped in a blanket on my window seat in the cottage when a giant elephant came strolling past for this dinner, to say I got a surprise would be an understatement. The main lodge, which is, in fact, the old Bodenstein family farmhouse, overlooks the Elephant Dam and invites guests to take a step back in time while admiring South African décor pieces dating back to the 1800s. Another interesting aspect about the property is the rather cool museum on the property that features one of the biggest private collections I have ever seen. From ox wagons, carts and other vehicles from the 1800’s to stone and iron-age artefacts, as well as a number of Boer War items this is really worth a walk around. Askari is really a versatile venue and is great for a couples romantic escape to conferences, teambuilding initiatives, training courses and weddings, or if like me you love to spend time on your own watching nature and revelling in the peace and tranquillity that the bushveld brings then this is for you. It was really cold on the day that I went to visit, however the friendly and warm welcome, as well as the cosy cabin made for a warm and toasty experience. 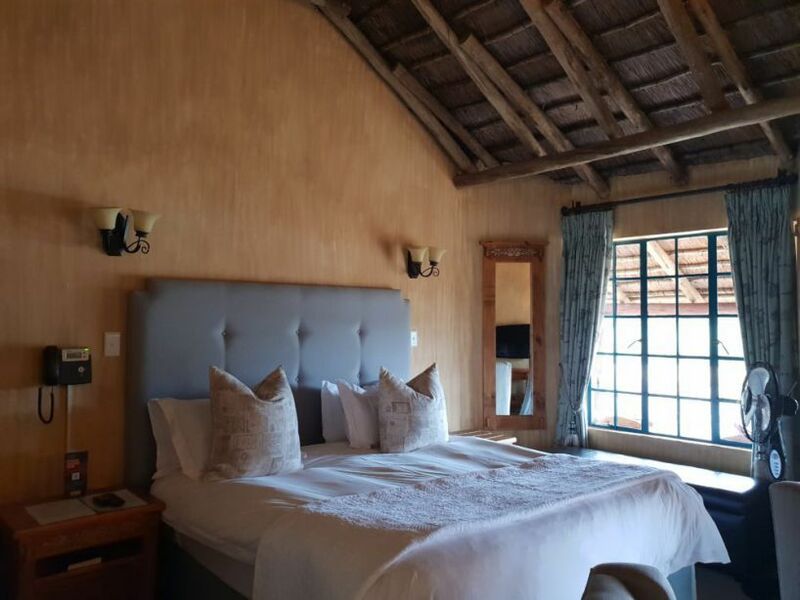 I would highly recommend Askari for a bit of a city escape, or if you are exploring the Magaliesberg and Cradle of Humankind area’s this is a great base to start from. Next Post Closed. WIN tickets to see Dein Perry's Tap Dogs - opening night!